The exclusivity of this noteworthy health insurance plan from Cigna TTK is that the coverage for current health care needs are addressed as well as reserves are built for future requirements. 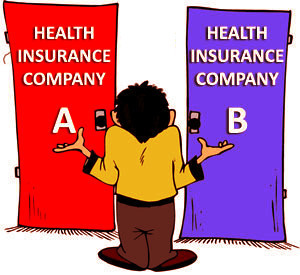 In other words, under this plan the company allows the policy holder to increase the sum insured. This plan can be subscribed in the form of an Individual coverage or a Family Floater coverage. For the people uninitiated to these terms, this feature of the plan provides a choice to the customers to purchase the policy either at an individual level or at a composite level covering the entire family. The term family floater means the amount of sum assured would not be bifurcated among the family members covered. To start with one can choose a sum insured figure from the available figures of Rs. 5.5 lacs / Rs. 7.5 lacs / Rs. 10 lacs / Rs. 15 lacs / Rs. 20 lacs / Rs. 25 lacs. In case of hospitalization, this policy allows the patient the facility of availing a private room with single occupancy. Thereby Cigna TTK ensures privacy for the policy holder. Pre and Post Hospitalization coverage is available for 60 and 90 days respectively for the policy holder. In this case also the pre-existing diseases waiting period is for 48 months. However the company allows the policy holder to avail expert opinion, once a year, on critical illness during this waiting period. This plan gives an option to choose increased amount of coverage towards health maintenance benefits for amounts ranging from Rs. 5000 to Rs. 20,000. This plan too does not extend any coverage relating to Maternity expenses and New born baby related expenses. The policy allows various treatments under the Day-Care or OPD scheme. Also the plan has value added cover relating to a health check-up from the insurer’s side. Just like the value-added cover, this plan extends optional coverage points in the form of a cumulative bonus booster. This means that the policy-holder shall have increased coverage in subsequent years ranging from 25% to 100% of the sum assured based on the agreement. Going by the name, this is a Premier plan and the sum assured over here is of Rs. 100 Lacs i.e Rs. 1.00 Crore. This enlarged sum assured becomes more useful if the plan is subscribed as a family floater. The policy can be purchased either on an individual basis or on a family floater basis. The in-patient hospitalisation under this plan does not have any restriction for choice of the type of room except that the patient cannot opt for a suite. Though the pre-hospitalisation coverage is for 60 days like all other plans of Cigna TTK. However, the Post-hospitalisation has an increased duration of 180 days. This plan gives coverage for day-care or OPD treatments for any ailments not requiring admission to any hospital or a nursing home. Donor related expenses to the extent of full sum assured. Pre-existing diseases waiting period under this plan is also for a shorter period of 24 months. Health maintenance related expenses coverage is more and to the extent of Rs. 15,000. Maternity benefit is also for an extended amount under this policy and ranges between Rs. 50,000 to Rs. 1,00,000 depending on whether it is a normal or a C-section delivery respectively. Even the New Born Baby Care coverages is linked to this larger amount under maternity cover. This is the second part of a 2 part article. To read Part One, Part I of this article.